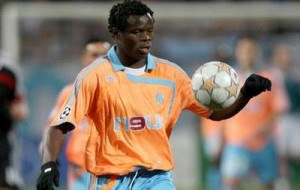 AC Milan the new Italian Champions have signed Nigerian international left-back Taye Taiwo on a free transfer from French side Olympique Marseille. The Nigerian with a power-packed left foot is believed to have signed a 3 year contract with Milan. The Rossoneri have also signed French international defender Philippe Mexes from AS Roma. Milan Coach, Massimiliano Allegri told reporters on Monday that "In defence, Milan are sorted,'' referring to the team's signing of Taiwo and Mexes.